You add virtual COM ports using the Serial/IP Control Panel and configure them to use your serial server. 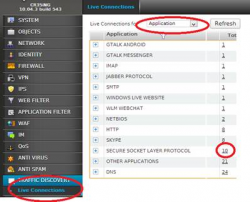 Your application uses Serial/IP virtual COM ports instead of local physical COM ports. The Serial/IP Redirector automatically makes TCP/IP connections to the serial server and relays the virtual COM port data stream and control actions. The serial server accepts connections from Serial/IP, then converts and relays the data stream and control signals to the server's serial ports. Wireless modems can be used instead of serial servers. The field equipment gets the data stream through serial cables or direct hardware integration.